Most people fall for the impression that your estate planning starts and ends with your will because it is one of the most important and basic estate planning tools. However, incapacity can occur anytime, whether you are involved in a car accident or suddenly develop an illness. If you are in a debilitated state for an extended period of time, you may wish to name somebody else to handle your affairs during this time period. It is important that you have the proper documentation to ensure that your spouse can take action quickly. Bills need to be paid and decisions may need to be made immediately regarding your care when you are in the hospital. Simply stipulating that your spouse knows what you want is not enough because the hospital staff nor the law understands the distinction. 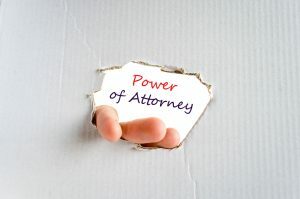 Families would benefit from having an advanced directive for health care and the financial power of attorney in place well in advance of when they are needed. Trying to create these documents after an incident has already happened can generate unique legal concerns that can further add complications to an already stressful situation. Scheduling a consultation with an experienced estate planning attorney in New Jersey is the best way to identify all of the tools and strategies that could be used to help you and your loved ones.